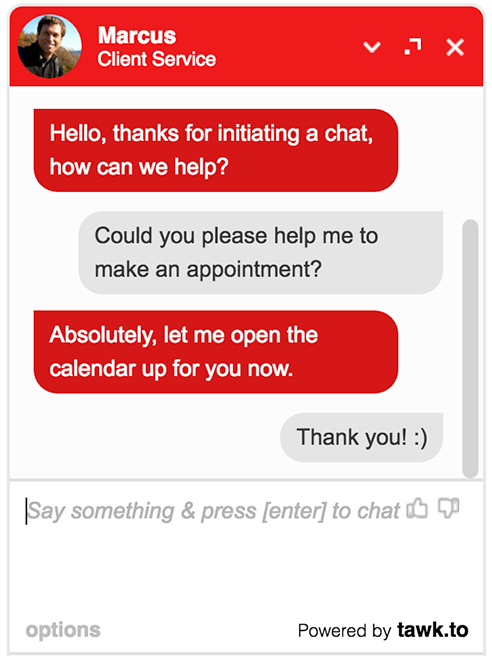 Want to add live chat to your website, but don't have the manpower (or budget) to have a real person sitting and waiting for chats to come in 24x7-365? Well, you can now hire our professional & native speaking live agents to man your chat for you, for as little as $1/hr. Amazing, right? NOTE: Limited to 100 new customers - We limit the number of new customers a few times a year, as providing live answering as a service with a level of quality that our customers have come to expect, requires proper staffing and quality training. Humans don't scale like software. If you would like to hire Live Agents to assist with your live chat answering for 2017, now is your opportunity to register your interest below. We receive way more requests for live answering than we could ever hope to service, so please get in quick to avoid disappointment. A Messaging App, offering Live Answering services. Strange right? Not really. Offering Live Answering as a service is core to our revenue model, and it is how we're able to offer the software completely free to over 550,000+ (and growing) business users. Currently we get paid to answer chats for a small number of awesome clients that do not want to (or simply can't) answer the chat themselves. Like Banks, Colleges, some medium & large e-commerce sites etc. To use the tawk.to chat software yourself and for your business is and always will be 100% completely free. You will never have to pay to use the core application. So, register your interest for Live Answering services below, we will get back to you right away with a questionnaire to asses suitability for your product or service offering, and the expertise of our trained agents.